A rugged chassis for electronic systems aboard marine vessels has been designed to meet rigorous vibration, shock and EMC requirements. 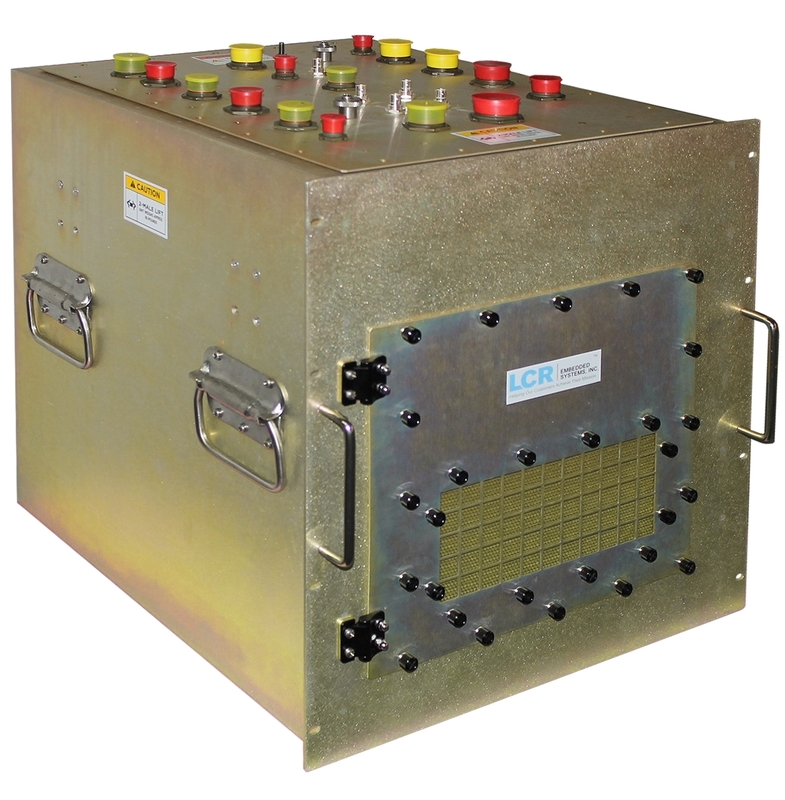 LCR Embedded Systems introduces its Rugged Shock-Isolated Chassis (RSIC-08) for Shipboard Bulkhead Mount. The chassis features an innovative, customisable, multi-point isolation system designed and produced by LCR Embedded, and may be used on multiple deck levels and to support multiple applications. The chassis has passed the Deck Simulator Shock Machine (DSSM) test for compliance with MIL-S-901D as well as MIL-STD-167A (vibration) and has been designed to meet MIL-STD-461 (EMI/EMC). The chassis is cooled via forced air, with backplane and fan power isolated from one another. Close attention was paid to EMI performance, which was made possible by a welded, dip-brazed, gasketed construction with honeycomb air intake and exhaust. Its unloaded weight is approximately 75lb, and it is suitable for a range of payload weights from approximately 15 to 45lb.